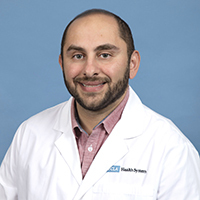 Dr. Kirolos has been at UCLA since 2003 completing his Medical School Training in 2007 and then completing a Dual Residency in Internal Medicine & Pediatrics at UCLA in 2011. He then took some time off to expand a network of Free Clinics he established in Southern California called Coptic Clinics (associated with the Coptic Orthodox Christian Diocese of Los Angeles). He then Returned to UCLA as Clinical Faculty in 2012. He is involved in the clinical instruction of Medical Students from the UCLA David Geffen School of Medicine and also supervises resident physicians at the Venice Family Clinic as well as at the UCLA Hospitals in Westwood and Santa Monica. Dr. Kirolos continues to be heavily involved with free medical care for underserved populations and directs the expansion of Coptic Clinics in the Southern California Region. His other interests include youth ministry at his church, snowboarding, scuba, surfing, and travel. He was born and raised here in Southern California in nearby Orange County. He has a B.S in Bio-medical Sciences and a minor in philosophy from U.C., Riverside and is fluent in English, Spanish and Arabic. His concentration is in preventative and primary care to people of all ages from newborn children to geriatric adults. Is it a Bacterial or Viral Infection?